The Panier de Fleur is crowned by a golden basket of spring flowers and bordered by cascading floral vines. 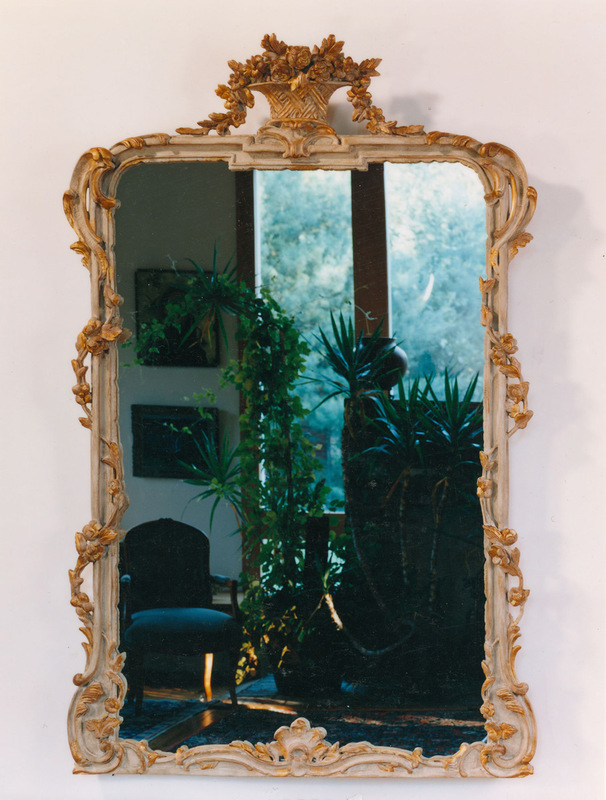 Undulating acanthus leaves form a stately framework for this 18th Century French mirror, embellished with hand-laid gold leaf and an antique patina. Shown in the Versailles finish.